The fates of a decorated former Air Force pilot, a pregnant flight attendant, a dedicated TSA agent and many others converge in this #1 New York Times bestseller that engages ordinary men and women in the fight of their lives during a flight from New York to San Francisco. #1 NEW YORK TIMES BESTSELLER - A decorated former Air Force pilot. A pregnant flight attendant. A dedicated TSA agent. 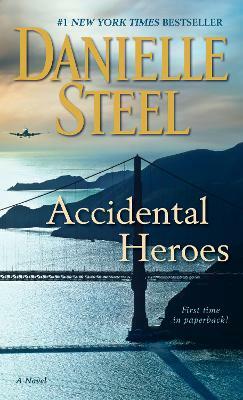 The fates of these three, and many others, converge in Danielle Steel's gripping new novel--a heart-stopping thriller that engages ordinary men and women in the fight of their lives during a flight from New York to San Francisco. On a beautiful May morning at New York's John F. Kennedy airport, two planes have just departed for San Francisco--one a 757, another a smaller Airbus A321. At a security checkpoint, TSA agent Bernice Adams finds a postcard of the Golden Gate Bridge bearing an ambiguous--perhaps ominous--message. Her supervisor dismisses her concerns, but Bernice calls security and soon Ben Waterman arrives. A senior Homeland Security agent, still grappling with guilt after a disastrous operation in which hostages were killed, Ben too becomes suspicious. Who left the postcard behind, which flight is that person on, and what exactly does the message mean? As Ben scans the passenger manifests, his focus turns to the A321, with Helen Smith as its senior pilot. Helen's military service and her tenure with the airline have been exemplary. But her husband's savage death in Iraq was more than anyone should bear, leaving her widowed with three children. A major film star is on board. So is an off-duty pilot who has just lost his forty-year career. So is a distraught father, traveling with the baby son he has abducted from his estranged wife. Sifting through data and relying on instinct, Ben becomes convinced that someone on Helen's plane is planning something terrible. And he's right. Passengers, crew, and experts on the ground become heroes out of necessity to try to avert tragedy at the eleventh hour. In her stunning novel, Danielle Steel combines intense action with stories of emotionally rich, intertwined lives. As the jet bears down on its destination of San Francisco, strangers are united, desperate choices are made, and futures will be changed forever by a handful of accidental heroes. Danielle Steel has been hailed as one of the world's most popular authors, with over 650 million copies of her novels in sold. Her many international bestsellers include Fall from Grace, Past Perfect, Fairytale, The Right Time, The Duchess, Against All Odds, Dangerous Games, and other highly acclaimed novels. She is also the author of His Bright Light, the story of her son Nick Traina's life and death; A Gift of Hope, a memoir of her work with the homeless; Pure Joy, about the dogs she and her family have loved; and the children's books Pretty Minnie in Paris and Pretty Minnie in Hollywood.